Unspoilt, peaceful sea view have been captured and recreated in this charming design by Jill White. 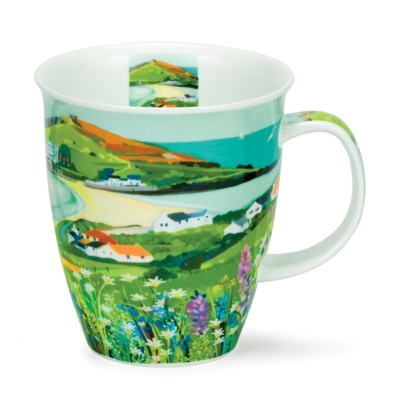 Wonderous, wild flower filled fields lead to sandy edged seas with scatterings of white cottages. The narrow strip of beach soon to be covered by the tide, is the only access to this idyllic island.